Coordinate your way to a savvy, stylish and utilitarian aesthetic by mixing and matching this two toned striped tie with your collared dress shirts and fitted blazers. 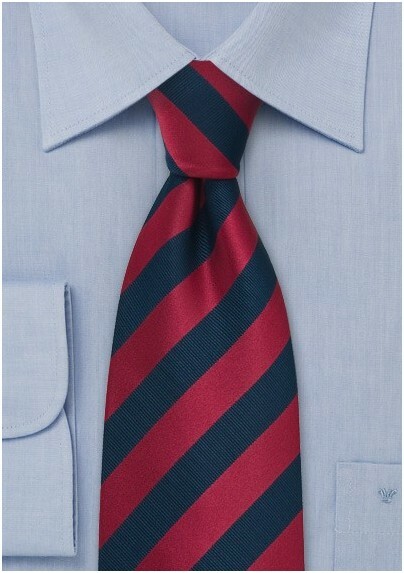 The classic color combo of reds and blues looks sharp and scholarly with anything it is paired with. For all American casually refined look, we suggest teaming this tie with a classic white oxford, broken in midnight blue chinos and lace up brown oxfords. 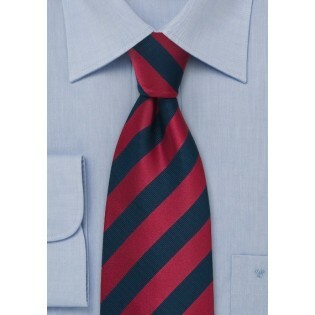 Crafted from a durable man-made microfiber that doesn't wrinkle or stain.